Invite your guests to an elegant watercolor floral and gold glitter themed shower! 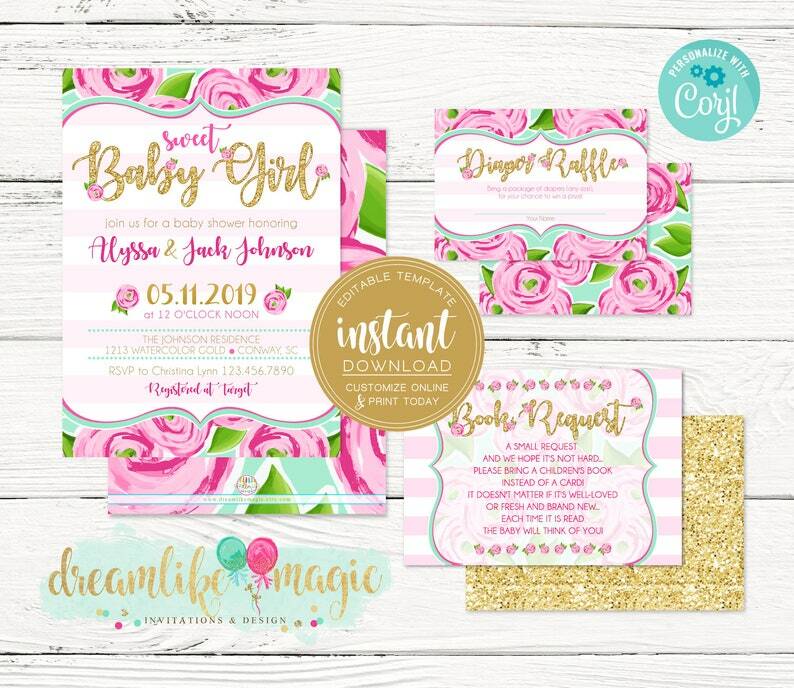 Our elegant Lilly inspired baby shower invitation set will make a lasting first impression and unique celebration for the upcoming arrival! Do It Yourself with our Editable Baby Shower Invitation Set, which includes a 5x7 Invitation, Book Request Card & Diaper Raffle Ticket. Want us to customize and or print for you? Please send us a convo for pricing!